Paris has long been a desired destination and a haven for expatriate and American artists, with prominent schools like the famed École de Beaux-Arts encouraging practitioners from around the world to come demonstrate their prowess. In the late 19th and early 20th centuries, however, several other schools formed as modern, progressive alternatives to the traditional École de Beaux-Arts, with lower fees and more flexible admission policies. 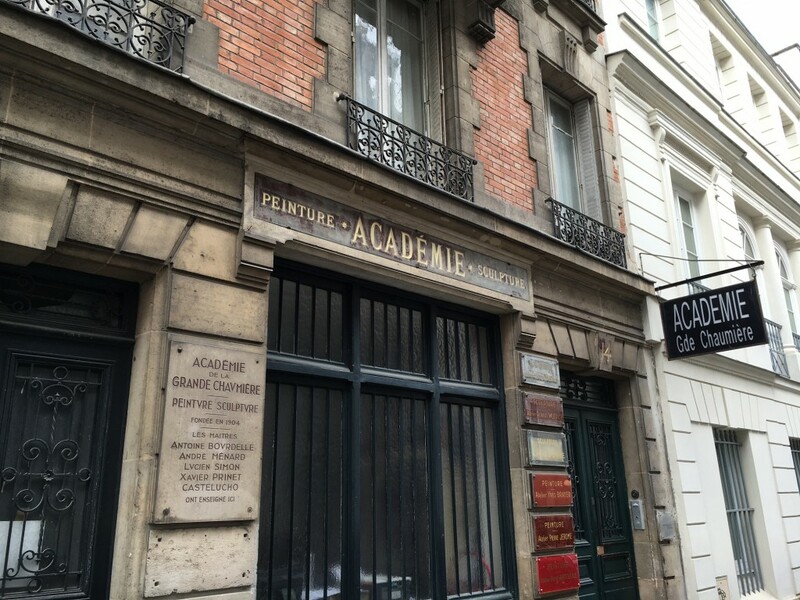 Two of these institutions, the Académie de la Grande Chaumiére and the Académie Julian, were magnets for expatriate and modern artists, including many prominent African-American artists. 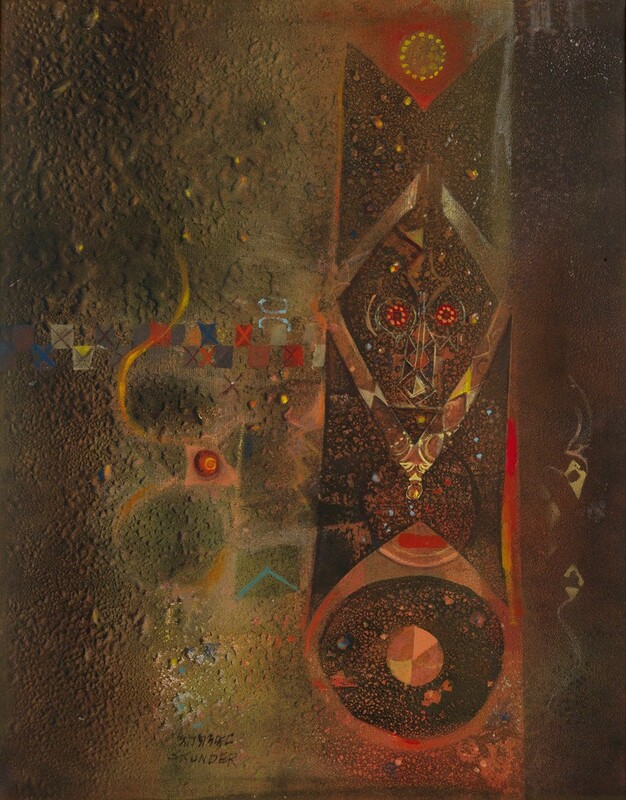 Lot 33: Loïs Mailou Jones, Fire Dancers, oil on board, 1956. Estimate $10,000 to $15,000. Founded in 1868, the Académie Julian was the first French art school to accept women and was known for its unpretentious and democratic environment. Instructors were supportive, innovation was welcome and models were chosen by vote. It also boasted an impressive line-up of African-American artists among its venerable ranks over the years, including painters Henry Ossawa Tanner and Loïs Mailou Jones. Specialist Nigel Freeman’s photo of the Académie de la Grande Chaumière from his February 2016 visit to Paris. 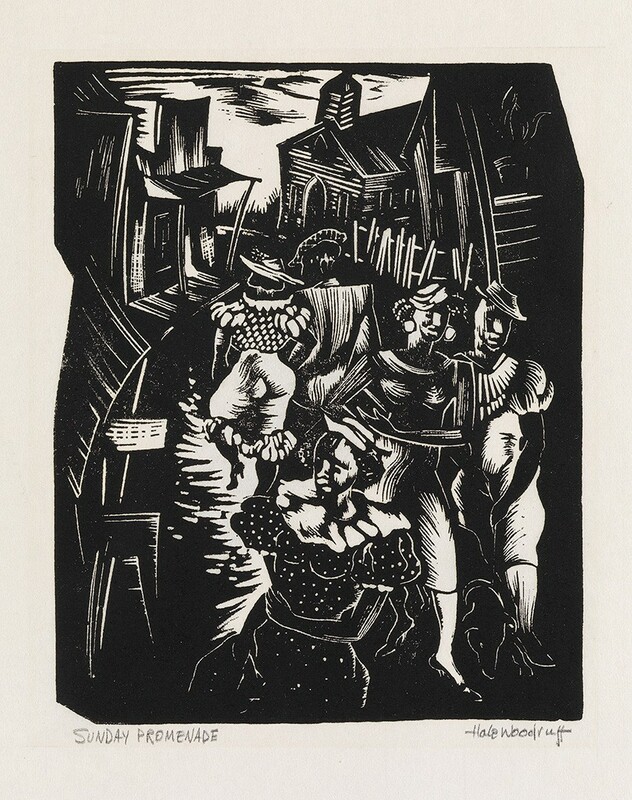 Lot 15: Hale Woodruff, Sunday Promenade, linoleum cut, circa 1935. Estimate $3,000 to $5,000. The Académie de la Grande Chaumiére (pictured above), founded in 1905, also had an important roster of African-American artists over the years. Painters Aaron Douglas, Laura Wheeler Waring and Hale Woodruff studied there, as did sculptor Augusta Savage. 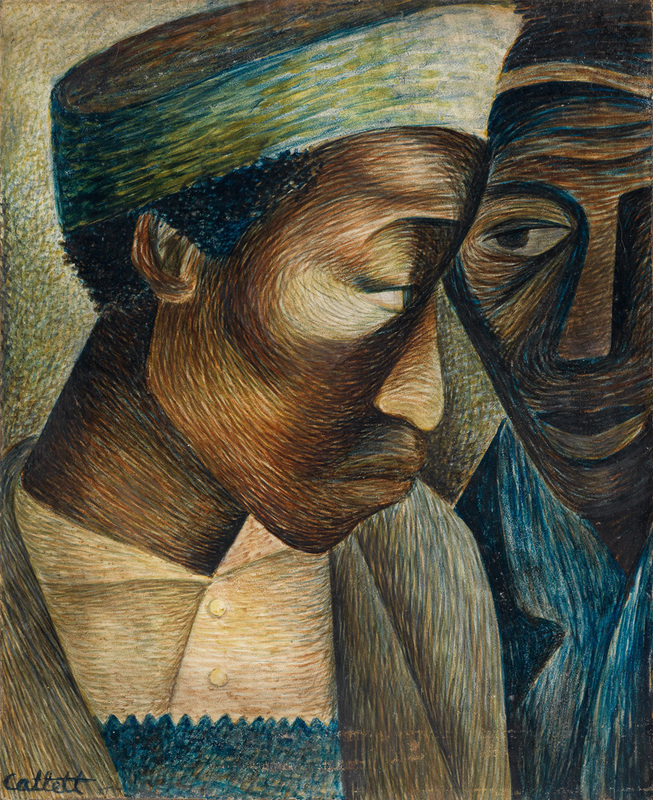 Alexander “Skunder” Boghossian and Avel de Knight, both of whom are represented alongside Woodruff in our upcoming auction of African-American Fine Art, were also involved with the Académie. Located just outside the edge of Paris’s famous 14th arrondissement, which contains the majority of the Montparnasse district, the Académie de la Grande Chaumiére placed students at the heart of the bohemian scene, treading the same ground as writers like James Baldwin and Henry Miller, and interacting with several generations of artists from a wide range of styles and schools, such as Alexander Calder, Beauford Delaney, Louise Bourgeois and many others. Lot 49: Alexander “Skunder” Boghossian, Untitled (Abstraction), acrylic on canvas, 1971. Estimate $8,000 to $12,000. Lot 69: Avel de Knight, The Fall, casein on board, 1977. Estimate $1,000 to $1,500. In a January 1945 journal entry, writer Richard Wright described Paris as “a place where one could claim one’s soul,” a feeling that seems to have rung true for many of these artists, and continues to hold weight for artists and writers today. 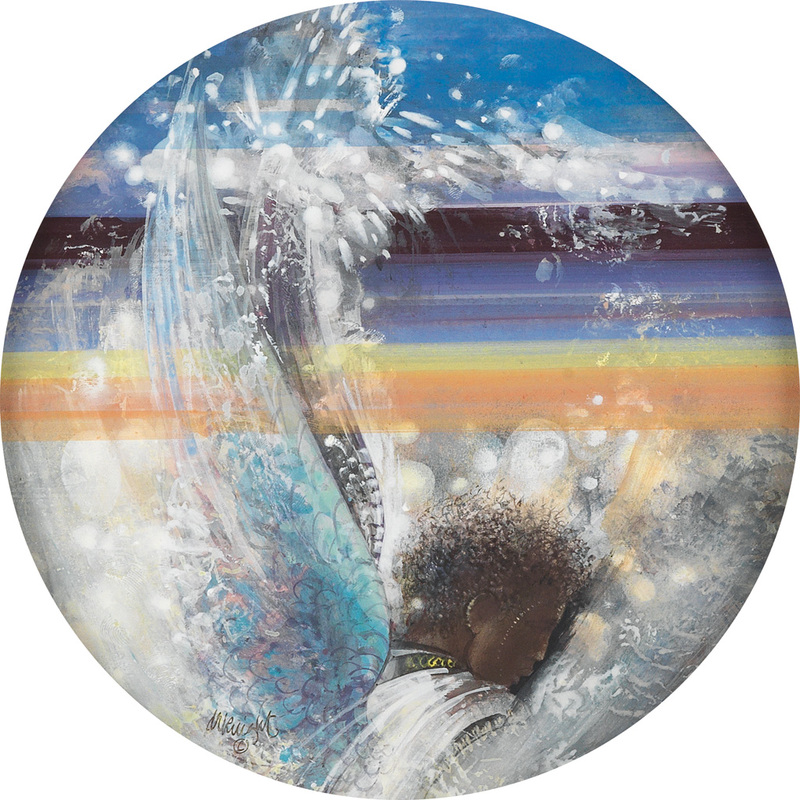 To see more African-American Fine Art informed by travel, experimentation and encountering different cultures, take a look at our complete catalogue.